We know you have choices, below you will find the information that will enable you to make an informed choice regarding your company’s future. If you are looking for a comprehensive tow industry software solution which will effectively manage your business, is easy to use, increases profitability, and reduces staffing requirements, we have it! The majority of our sales team are state certified, incident management wrecker drivers and/or licensed storage lot personnel who have personal knowledge of how to use VTS Systems software and operate a storage lot efficiently. We think it’s fair to say that we both know and understand the business, and we share your passion for this industry. 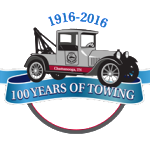 Writing compliant towing software would rate about 4.5 on a scale of 1 to 10, 10 being the most difficult. However, understanding the complexities of state Vehicle Storage Facility (VSF) management and writing code to comply with state or Law Enforcement Agency (LEA) administrative rules — including vehicle impoundment, notification/lien letters and the ability to legally process a vehicle through to auction and title transfer — rates about 9.5 on the same scale. 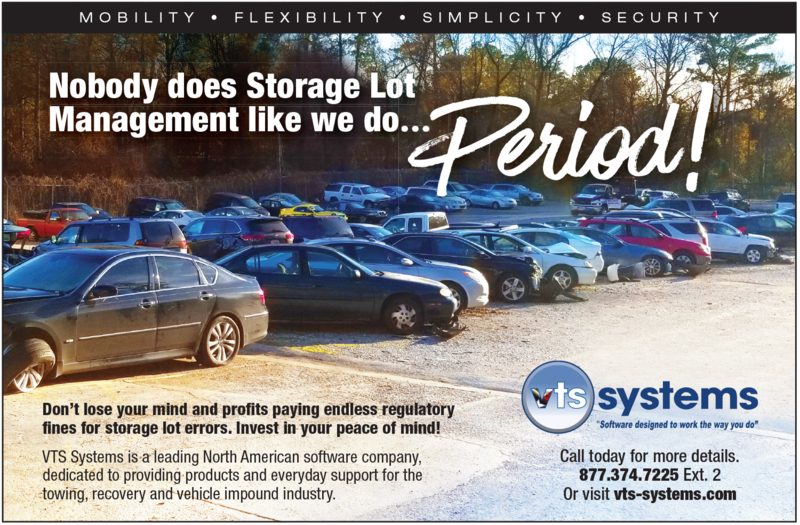 “Nobody does Storage Lot Management like we do,” Period! 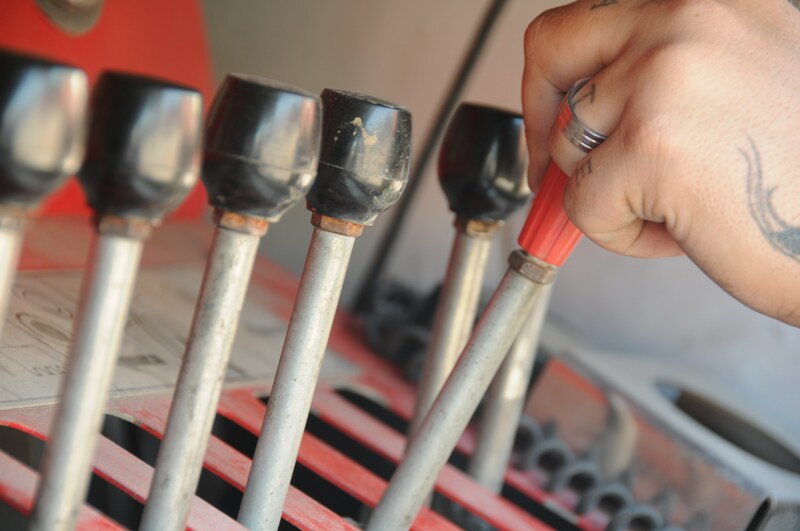 For almost 20 years, VTS Systems has enjoyed a leadership role in providing towing and vehicle storage industry solutions. Like most of our customers, we are a family business and understand the need to provide “More Time for This.” The THIS being Family! VTS Systems is a Texas-based software company and the only software developer to offer the towing industry both a web/cloud-based and a PC/server-based version of its software. We provide you with informed choices! Why offer both, when the buzzwords on everyone’s lips is cloud-based. The answer is relatively simple: Not all of our clients live in big cities with reliable high-speed Internet, which is a must for cloud-based technology. Many of our clients and prospective clients live in urban or rural communities where the Internet is often slow and or unreliable. Even our major cities have dead zones where cable-based internet is not available! Our PC/server application will operate your business reliably without constant access to the Internet. Of course, there are exceptions to every rule; “Simple” can quickly become “Complex and Costly.” However, our technical support team is available to provide information and guidance on which technology will best meet your needs. 2010 — Fully automated electronic certified mail, for notification/lien letters, “No More Going to the Post Office.” This fully integrated and cost effective electronic certified mail service has successfully processed more than two million letters. Since 1996, across the United States and Canada, VTS Systems has continued to provide feature enhancements and compliant state/provincial documentation. Nowhere in North America is documentation and compliance more regulated than in the State of Texas. The Texas state regulator and many of the major LEA’s consider VTS Systems software and documentation to be fully compliant. FLEXIBILITY — Unlimited users, unlimited tows, unlimited data storage, and unlimited support. SIMPLICITY — Easy to use, pre-loaded relationship tables and active filters ensure quick, error free entry. SECURITY — Individual user names, personal ID numbers and passwords, your data is securely backed-up across multiple Microsoft Azure cloud server farms. We know you work hard and long hours. For most towing and VSF company operators, a 40-hour work week is a figment of someone else’s imagination. Moreover, regardless of the size of your business, looking for and understanding the features and benefits of management software can often be a challenge. 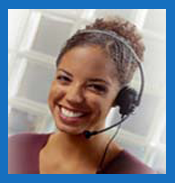 We understand you have choices, we respectfully ask that you give VTS Systems the opportunity to prove our value. We offer business management solutions for small, medium, and large towing and storage lot companies. Our software and one-on-one personal application training will add to your company’s efficiency, save time and money while providing worry-free Vehicle Storage Facility Management. “Nobody does Storage Lot Management like we do,” Period!